If you're looking for a perfect and fairly inexpensive souvenir from your Disney vacation, try Disney pin trading. Disney sells a wide variety of pins throughout their parks and resorts. There are character pins, park pins, resort pins, sports pins, holiday pins, etc. Basically, anything and everything you love about Disney, there is likely a pin for it. The pins typically range in price from around $8 for a basic pin to around $17 for a special event pin - of course, prices can and will vary. You'll find Disney Cast members in the shops, at some ride locations, in guest relations, and throughout all the resort areas wear pin holders and they're ready to trade with guests. Sometimes you can find pins that have been out of circulation for a while, so be sure to check out the cast members’ pin selections. You may want to purchase a lanyard and several pins to begin. You'll see starter packs for sale which often include a lanyard and four to eight pins depending on which set you buy. Look for deals. The sets typically run at about $25 to $30. This is where starting out can be a little tricky. You have to be sure that you begin with at least a couple of pins you are willing to trade. If you buy a set that you or your kids love, you might not want to part with them. 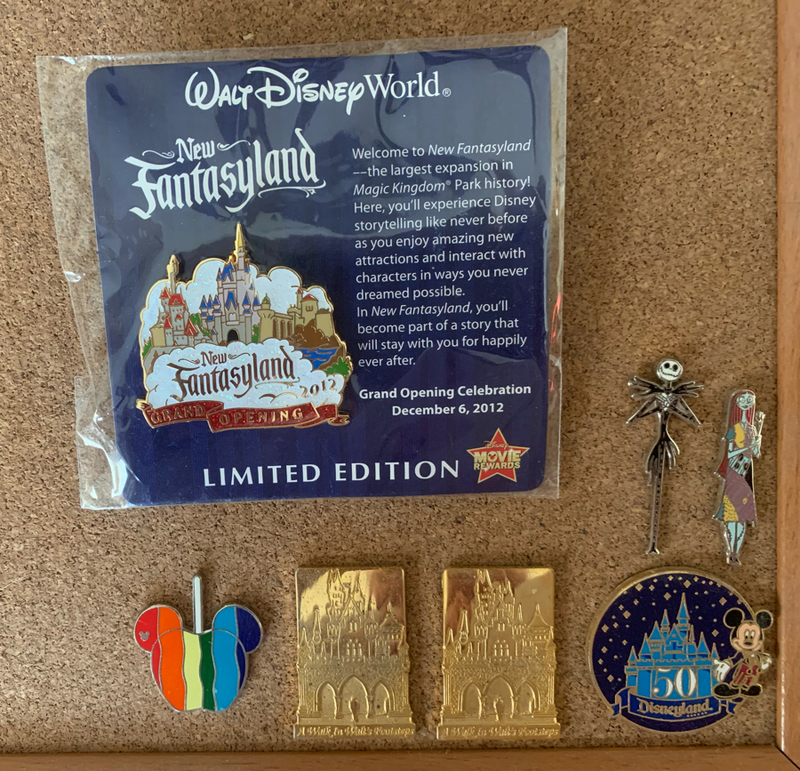 Also, if you come across a pin that you'd like to trade for but you don't have one that you want to trade, just go up to the register and buy a random and inexpensive pin in order to complete the trade. 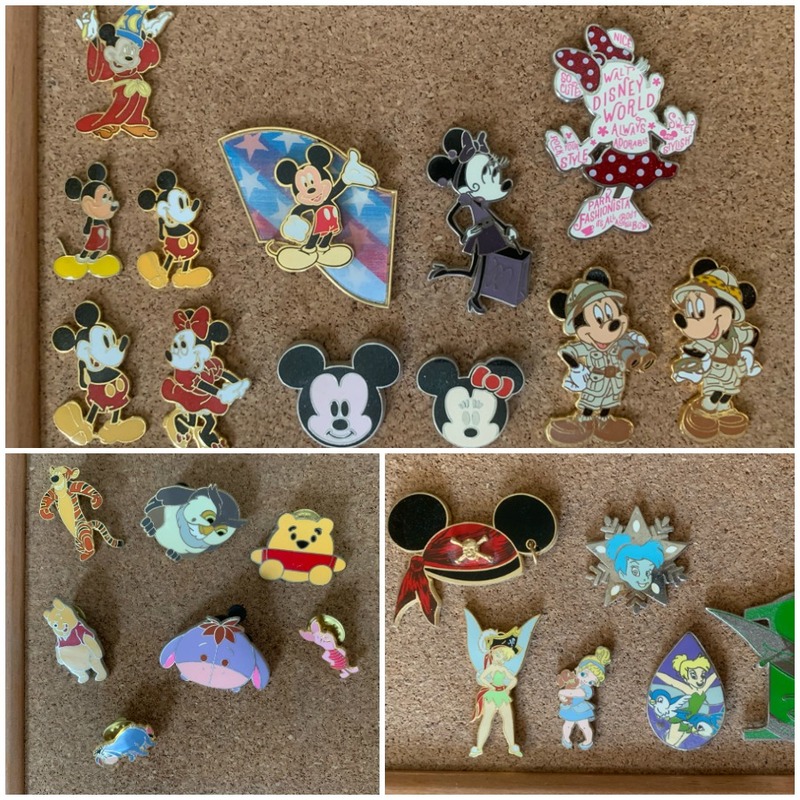 TIP: If you decide to buy Disney pins online from somewhere other than an official Disney retailer, be careful as there are a lot of fake pins out there and Cast Members will not typically allow you to trade with them. The Mickey Mouse-shaped pin backs that come with most of the Disney pins don't typically stay on very well. Disney sells lockable pin backs and it's a good idea to invest in some of those, especially if you've gotten ahold of pins you know you'll never want to trade but still want to wear on your lanyard. It's always fun to find one special pin from each of your Disney vacations to remind you of that specific trip. It could be one with the year of your vacation or even an attraction-themed pin that reminds you of a special experience you had like maybe your child rode Big Thunder Mountain Railroad for the first time because they were finally tall enough. There are always the special events pins at certain times of the year too such as the Epcot International Flower and Garden Festival or Mickey’s Not-So-Scary Halloween Party just to name a couple. The lanyard you see at the top of the page is a display lanyard from a first trip to Walt Disney World! Keep an eye out for special pin trading events that are held at Disney Parks. The Disney Pin Traders Store at Disney Springs also has a large board of pins that is occasionally available for trading to guests during select and unpublished times, so keep an eye out. You can also find pin trading locations at each of the four major theme parks. 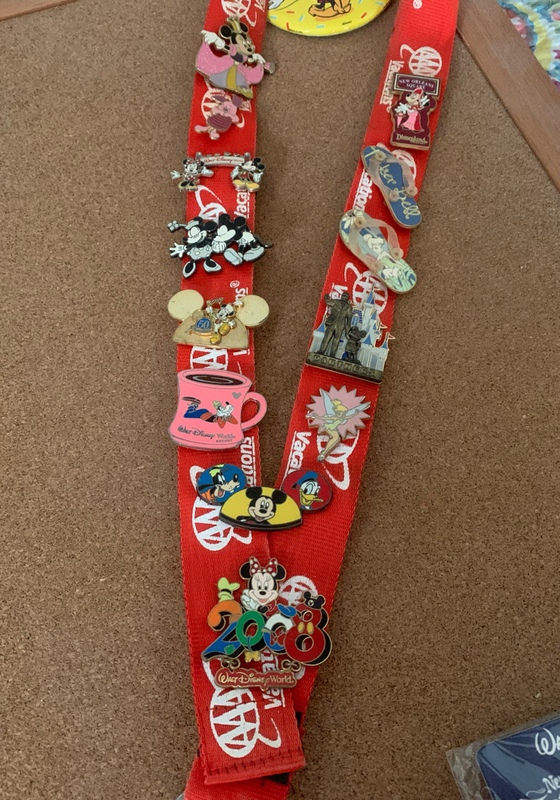 Once you've returned from your Disney vacation, you can and should find a way to still enjoy your pins. From pinning them to a simple corkboard on your wall to more extravegant shadow boxes, the possibilities are endless and will certainly give you a smile and a fond memory from a previous Disney vacation!